Know your Seizure Type - My Epilepsy Story - What is Epilepsy? Know your seizures! A first time and refresher guide to understanding different seizure types for people with epilepsy. 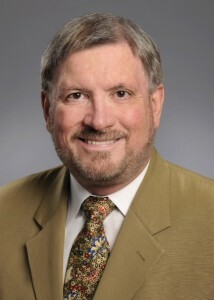 Dr. Michael Kinney MB, MRCP (U.K.) and Dr. Kimford J. Meador MD. In every area of medicine it’s important that the words used between the doctor or health care professional and the person with the condition, convey the same meaning. The terminology used to describe the different seizure types is no exception. Different terminologies and classifications have been used to describe seizures, but in this article we outline a practical guide for people with epilepsy as to the most recent terminology (See table; showing overlap of old and new terms) that their health care provider is using in describing their seizures. A seizure is best considered as the transient and frequently sudden appearance of symptoms/features related to underlying abnormal brain wave activity with pathologically synchronous and high frequency firing of nerve cells. 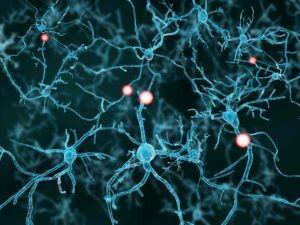 Some seizures are provoked (e.g., high fever, low blood sugar), but other seizures can occur recurrently without a precipitating factor that would cause a seizure in a normal brain. Epilepsy is the disorder where there is a tendency to have unprovoked recurrent seizures. Epilepsy can be caused by multiple different diseases. In many cases, the exact cause of epilepsy is unknown. Epileptic seizures typically occur with erratic frequency, but can be increased by factors such as sleep deprivation or stress. Sometimes, multiple seizures can occur in a cluster. If a seizure lasts for a prolonged period of time this is referred to as status epilepticus (the exact time points depending on the underlying seizure type). One of the most important points to remember when thinking about seizures is the classification into either focal seizures or generalized seizures, and sometimes even after investigation these may be unclassifiable (See Figure). In the next section the various subtypes of these two main categories will be expanded to help you understand if they are relevant to you. 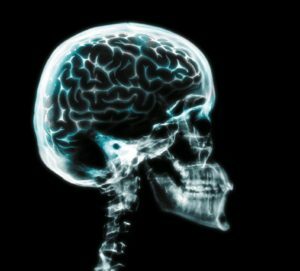 A generalized seizure is a type of seizure which results in the activation of large areas of both sides of the brain largely simultaneously. This typically will result in impaired consciousness. Generalized seizures have a distinct appearance on an electroencephalography (EEG), with both sides of the brain showing virtually simultaneous signs of abnormal brain wave activity at seizure onset or between seizures when irritable nerve discharges occur. The most obvious generalized seizure type is that of the tonic-clonic seizure, but there are other types of generalized seizures which have motor or nonmotor (absence) features. These are described in turn below and include; absence seizures, tonic seizures, clonic seizures, atonic seizures, myoclonic seizures as well as some rarer ones. This is the most readily identifiable type of seizure to members of the public. This type of seizure was previously called a grand mal, or convulsive seizure. Tonic-clonic seizures can either start as a generalised seizure, or as a focal seizure which spreads out to become a generalized seizure (focal to bilateral tonic-clonic seizure). The typical course is with an initial tonic phase which is usually <1 minute, consists of muscle tightening potentially starting with a loud cry or shriek as air is forced out of the lungs past constricted vocal cords. There is typically a fall to the ground, evolving into a clonic phase with rhythmic repetitive jerking on both sides of the body. Usually after the tonic-clonic seizure stops the EEG (if it’s being recorded) shows slowing of the brain wave activity, and this is referred to as a “post-ictal” state, the person with epilepsy may also be drowsy and possibly confused. The person may have been incontinent or bitten their tongue, or sustained other injuries. It is important to ensure they are safe at this stage and place them in the recovery position. A myoclonic seizure is a single jerk, or a volley of jerks in a row. It represents a muscle contraction. Each jerk is very brief, and may display no apparent loss of consciousness. They can affect the whole body, one half of the body, or the head, trunk, or limbs. There are many causes for myoclonic jerks and these can sometimes be related to medication. This type of seizure is important to look out for in young people particularly children, and young adults as it can be a strong clue as to the underlying syndrome of their epilepsy. This type of seizure results in an increase in bodily tone (stiffness), and if it starts in a generalized way it will result in an increased stiffness on both sides of the body, usually for seconds to minutes and usually with a loss of awareness. This is commonly seen in individuals with intellectual impairment. An atonic seizure is usually a very sudden loss of muscle tone (i.e. floppy), and they tend to be very brief. It can result in a floppy head, trunk, or limbs. It is most often seen in individuals with intellectual impairment. This type of seizure can also result in drop attacks (astatic seizures). 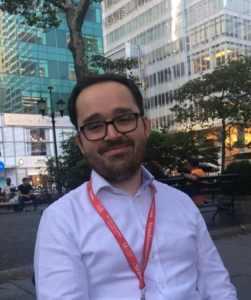 In adults with normal intellectual function who collapse suddenly to the ground and appear floppy (“like a rag doll”), it is vitally important to have a thorough evaluation by a specialist as other conditions should be considered as potentially more likely than epilepsy such as non-epileptic attack disorder and cardiac causes. Absence seizure has a characteristic pattern on EEG testing, and when the person with epilepsy has this type of “blank spell” they develop 3 per second (3 Hertz) generalized (i.e. both sides of the brain) spike and wave (a type of abnormal brain wave activity). It carries with it very specific implications as to what kind of treatment might be best. Usually they are brief events lasting about 5-10 seconds. At times the child or young adult will have been considered a “daydreamer”, they may even have fallen behind on schoolwork if these seizures were occurring frequently. During these seizures there may be some twitching movements around the eyelids or mouth. There may be automatisms seen, affecting the mouth and the hands. These types of seizures were previously known as petit mal seizures. In cases of intellectual disability, absence seizure can be atypical, and thus more prolonged. This term “absence seizure” is not used interchangeably with any “blank spell” event as different types of seizures can manifest with a blank spell/behavioral arrest. 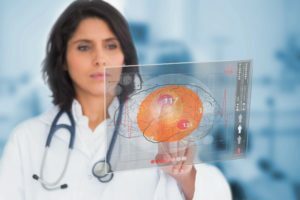 Focal seizures used to be called partial or localization related seizures and are considered to originate from a localised area on one side of the brain. 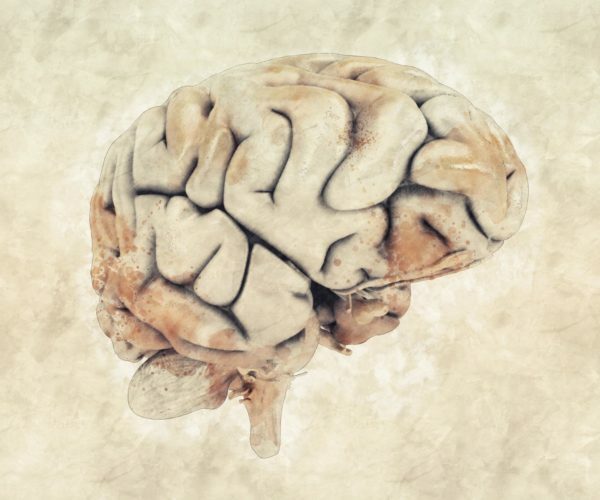 Some involve large areas of the brain and some remain very confined in the areas that they involve. The way that the seizures start and how the abnormal brain wave activity spreads across part of the brain is considered to be stereotypic in individual patients, in other words it remains the same pattern. They can be divided into those that affect consciousness (focal impaired awareness) and those that don’t impair consciousness (focal aware). If seizures are determined to be focal, based on the history and description of the experience of the seizure, and observation of the seizure on EEG, it can help direct choice of antiepileptic drug and may allow treatment options such as resective surgery or neuromodulation. 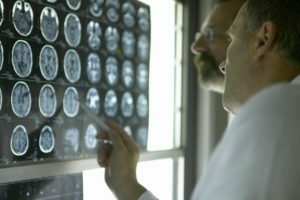 Brain scans such as magnetic resonance imaging (MRI) can provide clues as to where in the brain the seizure is coming from, like for example a small scar, or an old stroke. EEGs done between seizures can also provide clues by disclosing the location of irritable nerve discharges (known as epileptiform discharges). Of the focal onset seizures, they can be considered as either motor or nonmotor onset, in other words, seizures that start by activating part of the brain involved in the control of movement, or else part of the brain not involved in movement. Motor seizures consist of the previously described tonic, atonic, myoclonic, clonic seizures, as well as some others. In this scenario they originate from one focal starting point resulting in a certain type of movement, and thus are called focal motor seizures. Certain types of spasms can fall under this category too, as can automatisms, and hyperkinetic seizures. Hyperkinetic seizures are seen in seizures originating from the frontal lobe seizures, and can appear quite erratic, with fast and unpredictable movements which can appear violent, with running, thrashing, thrusting movements. Automatisms usually occur with impaired awareness, typically with an action being repeated; such as lip-smacking, swallowing, they may be fumbling with one or both hands, or repeatedly tapping or rubbing, (such as swiping at an ipad), they may laugh (with and without the emotional expressively of laughter), they may cry, they may sing or vocalise sounds, or verbalise phrases. Focal seizures can spread to become bilateral tonic-clonic seizures. These seizures were previously referred to as secondary generalized seizures, but is now termed focal to bilateral tonic clonic seizure. Nonmotor onset focal seizures can result in various manifestations. There can be disturbance of autonomic control. This includes symptoms such as palpitations (awareness of the heart beat), nausea, “butterflies in the stomach”, the urge to urinate/defecate, changes in temperature, become pale or flushed in appearance and undergo a change in pupil size. These various items all can occur in the course of a normal day such as with “butterflies in the stomach” prior to giving a talk in front of a large audience, and may only indicate seizure activity in selected circumstances. Another manifestation is that of behavioural arrest. Clinically the person having this type of seizure will have a blank expressionless look or stare. Focal seizures with loss of awareness (focal impaired awareness seizures) were previously referred to as complex partial seizures. Lastly of the nonmotor types; we cover the seizures with cognitive, emotional, and sensory content, which have previously been referred to as aura. These focal seizures can start without impaired awareness, can spread widely resulting in loss of awareness, and then potentially spread further resulting in a focal to bilateral tonic-clonic seizure. Focal seizures can involve all the special senses resulting in seizures with abnormal sensation, visual hallucinations, auditory hallucinations, olfactory (unpleasant smells) hallucinations, gustatory hallucinations (taste disturbance), abdominal discomfort, or a rising sensation which can go up to the throat, headache or light-headedness, depersonalisation, fear, low mood, emotional states, feelings of familiarity and also unfamiliarity. Note that some seizures can have both motor and nonmotor components in the same seizure. This outline on different seizure types has aimed to improve the communication between people with epilepsy and their health care providers. With this up-to-date terminology more accessible, we hope that it will encourage patients to feel empowered. 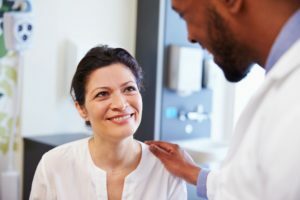 seek the best treatments for their epilepsy, and allow people with epilepsy to make sure they know exactly what their health care provider means by the terminology they use. Brodie MJ, Zuberi SM, Scheffer IE, Fisher RS. 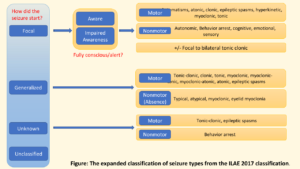 The 2017 ILAE classification of seizure types and the epilepsies: what do people with epilepsy and their caregivers need to know? Epileptic Disord. 2018;20(2):77-87. This entry was posted in From The Experts, Helpful Epilepsy Information and tagged Disability and epilepsy, Dr. Kimford J. Meador, Dr. Michael Kinney, Epilepsy, Epilepsy and Pregnancy, Epilepsy Education, Epilepsy Safety, Girls with Epilepsy, healthy living, juvenile epilepsy, My Epilepsy Story, seizure, Seizure Type, Women, Women with Epilepsy.